Top White House officials warned Sunday that President Donald Trump's threat to close the U.S. border with Mexico this week should be believed. "It certainly isn't a bluff," White House counselor Kellyanne Conway told "Fox News Sunday." "You can take the president seriously." Conway added that Congress "can fix this," referring to what she said was the need for a U.S. immigration overhaul in the face of a surge of border crossingsby undocumented immigrants. Trump said Friday there was "a very good likelihood" he would close the southern border this week unless Mexico did "something." "I'll just close the border," Trump added. "When you close the border, also you will stop a lot of the drugs from coming in." On CNN's "State of the Union," acting White House chief of staff Mick Mulvaney said "we were not lying to people when we said" there was an emergency at the southern border. "Very few people believed us, especially folks in the media and the Democrat Party," he said. "It is an emergency." 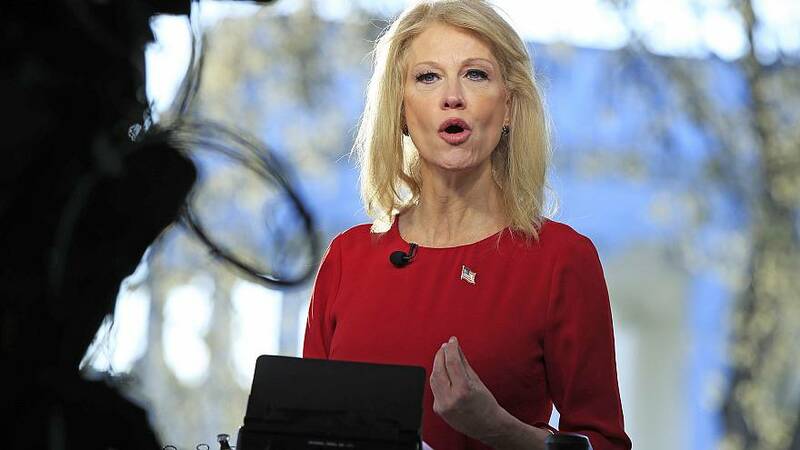 Both Conway and Mulvaney also defended the Trump administration's decision to cut off aid to three Central American countries — El Salvador, Guatemala and Honduras — after Trump claimed those governments "set up" migrant caravans for entry to the U.S.
Conway said, "We need to send a message. When asked whether cutting off aid would make things worse in those countries and spur more migrants, she added: "This is the classic case of what may happen ... versus what's right in front of us." Mulvaney told CNN that "if we're going to give these countries hundreds of millions of dollars, we would like them to do more."